Did You Know You Could Trek To This Historic Hill Fort Which Is The Birthplace Of Shivaji's Son? Known as the birthplace of Sambhaji, the son of Shivaji Maharaj, Purandar Fort near Narayanpur, is one of the most popular trekking points, that’s close to the city. It takes about one and half hour to reach the place. 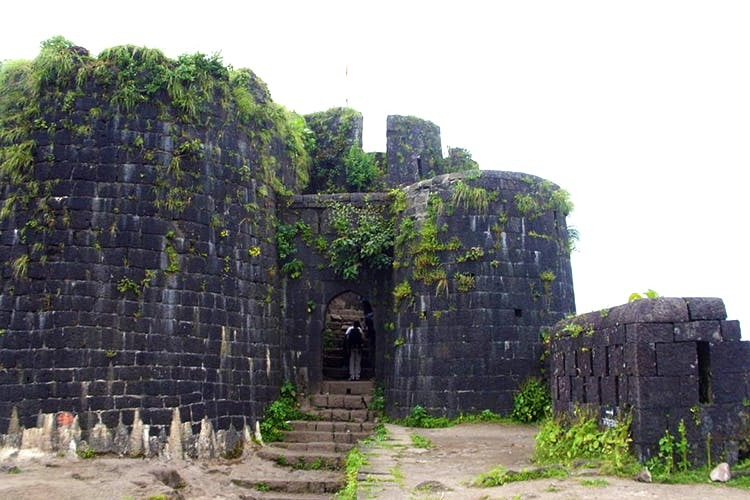 The most convenient way to Purandar Fort from Pune, is to drive down to Saswad via Hadapsar. You will reach the ghats of Purandar Matha in the village of Narayanpur. The fort is located few kilometres from there. Located at a height of 4,472 feet above sea level, the history of the hill fort of Purandar traces back to 11th century during the Yadava Dynasty. After that, the fort was taken over by the Persians, and later by 14th century the fort was granted to Maloji Bhosale, grandfather of Shivaji. The history of the place is grand and plays an important role during the Maratha Empire. Coming back to the trek, it takes about two hours from the base village to reach the top. There is also a motorable road that will take you halfway to the top. Currently, the fort is in ruins. But the majestic beauty of this architectural masterpiece in the heart of Western Ghats, continue to pull hundreds of tourists every month. Once you reach the fort, we recommend you check out the temples in and around the area. Although most of them are in ruins, the ancient temples of Kedareshwar, Lord Indra and Laxmi are a must-visit. There is a staircase from the lower level of the fort to the upper level, that leads to Ballekilla. This place houses one of the greatest creations inside the fort, Dilli Darwaza. No plans for the weekend? Make a plan with your squad of trekkers and hit the road towards Purandar! Although there is water available on top of the fort, we suggest you carry your own bottles.